Are you aware how important the anterior cruciate ligament is to your body? June 15, 2018 Werayut Chayapinun, M.D. When discussing the body’s joints and bones, the knee is always regarded as being one of the most important, because of the work it does in supporting the body’s weight, as well as assisting with movement, such as walking, standing up, sitting and laying down. The knee also provides cushioning for our leg bones when jumping or running, so it could be said that its duties are similar to those of shock absorbers in a car. 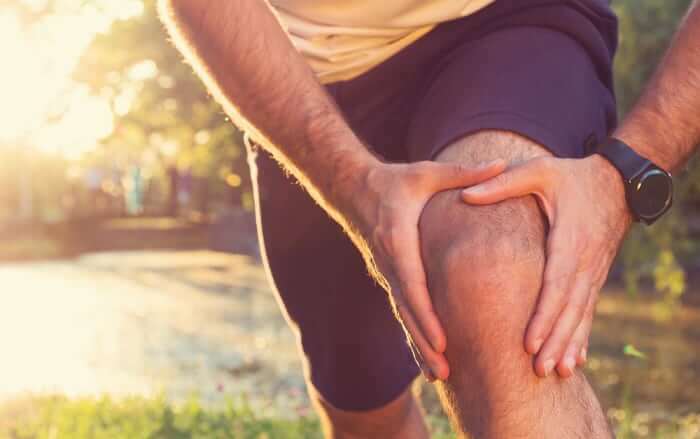 However, when someone suffers from irregular movement or severe pain in the knee, be it from a heavy impact or a serious fall, it could lead to an injury in one of the major knee ligaments that control the knee. This may eventually result in a torn ligament. The ligaments that are usually most at risk of injury are the anterior cruciate ligaments. Many people may not be aware of just how important the cruciate ligaments are. Hence, we would like to offer some advice, so that everyone can improve their knowledge and understanding on this subject. Inside everyone’s knees are four major ligaments which criss-cross over the knee in an X-shape. These are called the “cruciate ligaments”. The ligaments are categorized according to their position in the joint, with the ligaments at the front of the joint being referred to as the anterior cruciate ligaments (ACL). The ligaments at the back of the joint referred to as the posterior cruciate ligaments (PCL). Both types of ligament work together to help maintain the rotational stability of the knee, ensuring the joint does not move around or slip forward and dislocate. The ligaments also control the rotational movement of both the kneecap and shin, so that they can move freely. How important is the anterior cruciate ligament to our body? People without an anterior cruciate ligament or those with anterior cruciate ligament injuries will experience instability and pain in the knee. They will also experience weakness in the knee during rotation and pain when weight is placed on the knee joint. Therefore, the anterior cruciate ligaments are of huge importance in terms of the stability of the knee joint. If the ligament is torn and left untreated, it will have a negative effect on the joint surface and joint cartilage, because those areas are now required to carry out work that they usually wouldn’t be responsible for. Eventually, this could lead to osteoarthritis. What are the most common causes of anterior cruciate ligament injuries? The most common injury affecting the anterior cruciate ligament is a tear in the ligament. Patients who seek medical assistance for a torn ACL are categorized into two main groups. The first group is those who have sustained injury through exercise or sport. They may have over-rotated their knee or twisted their knee in a manner that has caused the ligament to tear. The second group is those who have sustained their ligament tear after being in a car or motorbike accident. Upon tearing the ligament, there would have been an audible pop, followed by extreme pain in the area. There would also be bleeding inside the joint in conjunction with inflammation, meaning that the patient cannot place any weight on the joint due to pain. How do doctors know whether or not the ACL is torn? When a patient seeks medical attention for pain or swelling in the knee, the doctor will study the patient’s medical history to identify any possible signs for the injury’s cause. A full body checkup will also be performed, including an X-ray of the knee, so that the doctor can be certain that the injury is definitely a torn anterior cruciate ligament. However, X-rays are unable to give a view of the ligament, as they can only allow the doctor to check whether or not the injury is bone related. If the doctor requires a clearer understanding of the joint’s condition, an MRI scan or arthroscopic inspection will offer the clearest assessment of the situation. What types of treatments are available for an injured or torn anterior cruciate ligament? There are numerous forms of treatment available for an anterior cruciate ligament injury, both surgical and non-surgical. However, if the patient is still quite young and does not suffer from any other underlying health conditions, the doctor will usually advise surgery as the best course of action. Taking anti-inflammatory medication can only help to reduce the pain and swelling present in the joint membrane. Such treatment may be recommended, since leaving the pain untreated, even if that pain comes and goes, will eventually lead to that pain worsening and becoming unbearable. Furthermore, the long-term effects may include patella tracking disorder and a collapsed knee, making running or walking difficult. Another aspect to consider when deciding on surgical treatment is that the current technique preferred by surgeons is arthroscopic surgery, a minimally invasive surgery (MIS) method which reduces scarring and significantly improves patient rehabilitation times. ACL surgery involves replacing the damaged ligament with a healthy ligament from another part of the body, such as the quadriceps or hamstrings. 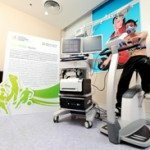 After surgery, the doctor will recommend that the patient attends physical therapy sessions and follows all the relevant steps involved with the rehabilitation process, as this will give the patient the best chance of returning to walking and playing sports quickly and without any complications. Please let me repeat just how important the anterior cruciate ligament is to the body due to its job in helping stabilize the knees’ movements. This part of the body is also prone to injury if we do not take good care of it. For this reason, if you are involved in an accident that affects our ACL, please do not hesitate to visit the hospital and receive treatment, as this will significantly decrease the chances of you developing osteoarthritis in the future. Are you aware how important the anterior cruciate ligament is to your body? When discussing the body’s joints and bones, the knee is always regarded as being one of the most important, because of the work it does in supporting the body’s weight, as well as assisting with movement, such as walking, standing up, sitting and laying down. The knee also provides cushioning for our leg bones when jumping or running, so it could be said that its duties are similar to those of shock absorbers in a car. However, when someone suffers from irregular movement or severe pain in the knee, be it from a heavy impact or a serious fall, it could lead to an injury in one of the major knee ligaments that control the knee. This may eventually result in a torn ligament.